Moon Chase! » Blog Archive » News Flash – Sailor Moon Manga wins Industry Award! News Flash – Sailor Moon Manga wins Industry Award! I have some great news to report regarding the recent re-release of the Manga by Kodansha Comics – the first volume was recently honoured at the 2011 Diamond Comic Distributers Gem Awards. 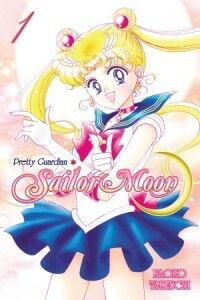 Sailor Moon Volume 1 received one of the highest honours from the comic book industry, as it was awarded the 2011 Manga Trade Paperback Of The Year award. The award results are primarily based off of overall sales figures for the 2011 calendar year, and are also voted on by the major comic book retail outlets. We are so proud of the success of Sailor Moon, and we would like to congratulate Kodansha Comics USA on the win. It is truly astounding to see the continued positive reception being directed towards the manga reissue campaign, and the staff at Moon Chase would like to applaud the fans that have supported the release! This entry © Moon Chase. Written by moonie1995 and posted on February 27, 2012 at 10:06 pm and filed under Awards, Breaking News, Industry, Kodansha. Bookmark the permalink. Follow any comments here with the RSS feed for this post.